HIT CHANNEL EXCLUSIVE INTERVIEW: November 2010. 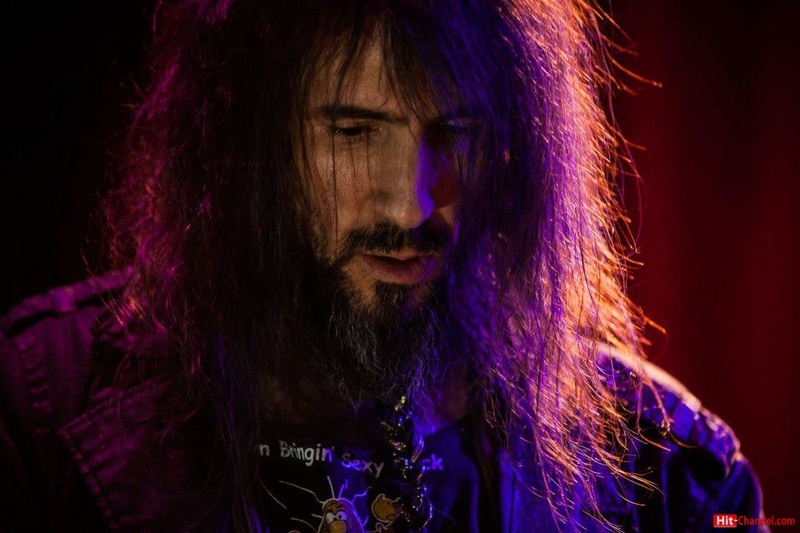 It’s always a pleasure to talk with a fine person and guitarist as Ron ‘Bumblefoot’ Thal is. It’s very rare nowadays to play in a popular band and to be so ‘down-to-earth’ character. Ron answers to what always wanted to ask. Let Ron talks..
How was the lengthy Europe tour? Which was its highlight moment in your opinion? Tour was fantastic, most fun I’ve had on the road! Great times everywhere, a lot of highlights… it’s the ‘normal’ moments between shows that mean the most to me. But you all don’t really care about the tasty fish I ate at some restaurant, do you? Haha. The Paris acoustic show was a highlight, being so close to everyone, being able to hug someone while your playing, that’s a good thing… Moscow too, I love the face-to-face personal shows. How difficult is to be on top form each night? Do you see each concert as a challenge? It’s not difficult, except for when some illness gets passed around – trying to play a show when you can barely stand, that’s pretty brutal. But we do it, the show goes on. Otherwise, it’s no problem, it’s what we do. Last month was the 70th birthday of John Lennon. As an insane Beatles fan, was John Lennon mean for you and his importance in today’s music? Lennon was a visionary – not just musically but a social voice, a political voice for many people. He inspired generations of musicians and listeners, he and his music will never be forgotten. I recorded some cover songs over the last few years that I’d like to release soon, one will be a Lennon song. Have you written any stuff for a new solo release? Do you feel terrified that your previous release is a masterpiece as ‘Abnormal’? How possible is a solo tour in near future? You should try this in Greece, it’s a sure sold-out. Even Jeff Martin (ex-Tea Party) which few Greek listened to, is always sold-out. I would *love* to do a solo tour and play in Greece…! But right now the plan is more GNR touring. And unless I know for sure that we’d be taking a long break I won’t make any long-term plans for anything else. I’ve had to cancel shows in the past when schedules suddenly conflicted, I don’t want to take a chance on that happening again. Which music do you hear this period? The last cool thing I listened to was a progressive rock band called “Thank You Scientist”. They’re an unsigned band in the NYC area, the guitarist is a former student of mine, I just mastered their 5-song EP. Picture combining the Dave Matthews Band and Dream Theater, it sounds something like that but as its own thing. Should be available by early 2011. One of the best bands I’ve heard in a long time. Have you ever thought to include to your music influences from world music? (except flamenco, as you did in ‘Barefoot’). Matt Johnson (Jeff Buckley’s drummer) told me that he had written a song for his upcoming album in 5/4 traditional Greek tempo. Are you familiar with Greek music? With who musician you’d like to play with and hasn’t happened yet? Maybe with Eddie Van Halen? Phish! Never got to see them live, but know their music and know Trey’s talent well, the guy’s great…! He just played an acoustic show a few days ago at Princeton University – would have loved to go, I was only 10 minutes away, but couldn’t get out of the studio in time. Aaahhh!!! What memories do you have from Greece. Send a message to your Greek fans. My last time in Greece was in July 2009. My wife and I walked around the whole city of Athens, enjoying the weather, food, history, people… met with friends, had a nice dinner at a roof-top restaurant overlooking the Acropolis. Such a beautiful sight….. it was one of my wife’s favorite places we’ve been to, mine too. :) I don’t know when I’ll be back, but I want to thank everyone there for always being so kind and making us feel welcome, sas efharisto poli!! 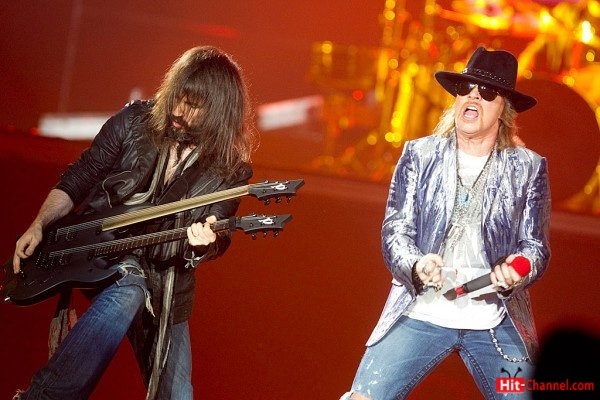 Special thanks to Ron ‘Bumblefoot’ Thal. Hope to see you in Greece soon!